Mysterious selkies, bad-tempered giants, devious fairies and even Loch Ness's most famous resident -- these are the mythical beasts of Scottish folklore. In the highly anticipated companion volume to the much-loved An Illustrated Treasury of Scottish Folk and Fairy Tales, award-winning children's author Theresa Breslin brings together a stunning collection of tales from across Scotland. 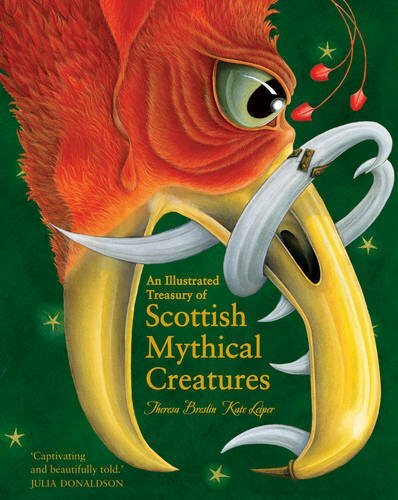 Alternately humorous, poignant and thrilling, each story is brought to life with exquisite illustrations by Scottish fine artist Kate Leiper, whose exquisite illustrations brim with otherworldly beauty. A wonderful gift, this is a truly stunning book to be treasured for a lifetime and will be enjoyed by parents and grandparents as well as children.